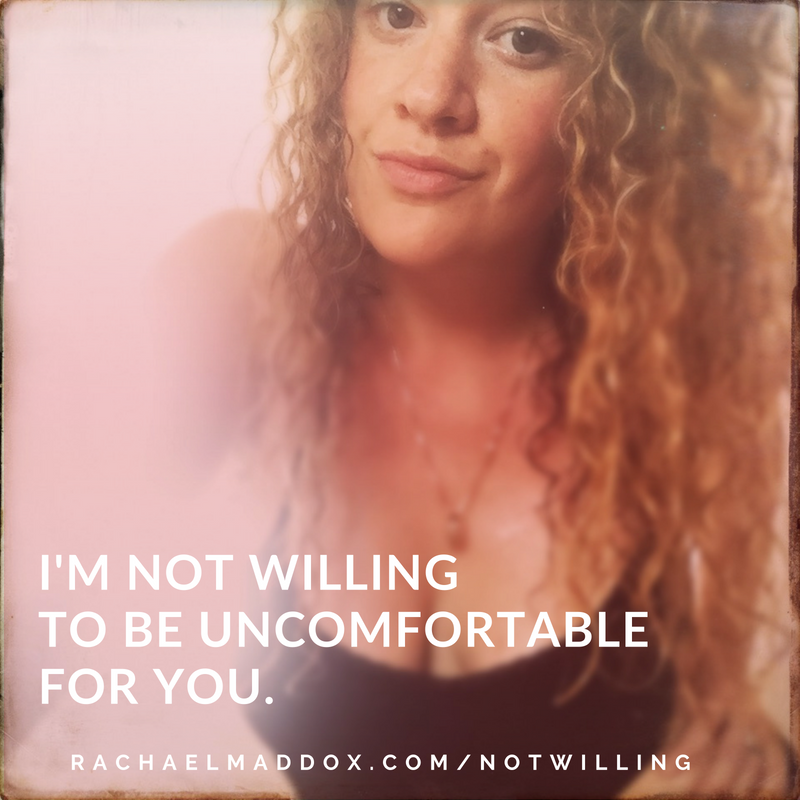 I’m not willing to be uncomfortable for you. do you need these words like honey salve? if so, go back up to the top and whisper them aloud. do it twice. let them reverberate in your chest like a lioness. you can. a few years ago when i published Secret Bad Girl, i went across the country on a DIY book tour doing day-long workshops as well. each time, i had the group read this poem, one person at a time. talk about power. talk about goosebumps. talk about reclamation. but it is to say: violence begets violence, and until we learn how to heal our culture – make space and encouragement for the less controllable, forceful parts of us all… our sensitivity, emotionality, sensuality, spirituality and creativity… we will continue to oppress and repress HEALTH. tangent aside, i put my heart and soul into the Secret Bad Girl audiobook. have you gotten a copy yet? it’s just over 4 hours of story medicine and poetry permission slips, destigmatizing science and deep-diving healing prompts. if your heart wants companionship as you grow into your healthiest, most whole self, pick up a copy. she won’t disappoint.